But what if, like me, you don't find Pitts-Todd shorts funny? Or, for that matter, Kelly-Todd, The Boyfriends, or even (gasp!) Charlie Chase? Now, if they were to release Roach's Harry Langdon shorts, I'd probably spring for that. The few of those I've seen are entertaining. Okay, I can't say I specifically remember seeing any Todd-Pitts films on TV back in the day, but I definitely have vivid recollections of Todd-Kelly comedies run in a 60's era early morning kids slot on WNHC-TV,a New Haven station (today WTNH-TV I believe). AIR FRIGHT, in particular, made a huge impression on me long before I knew who the actors were: those passengers parachuting into unlikely situations and Don Barlay's hair part were dream images firmly imprinted on my brain pan. Didn't catch up with that one again until the late eighties. I also remember holding in my hands a film can for, what I thought was, a TV syndication Laurel and Hardy print, with a paper label trumpeting other Hal Roach favorites... distributed by Regal Films! Of course, this too is a memory many decades old, so you might have to cut me some slack. Anyhow, we might mention the Todd-Kelly films are also out in a DVD collection too! The one time I saw Todd-Pitts shorts broadcast was on TCM, and they had Hallmark logos at the end. The Todd-Kelly "Top Flat" was tacked onto a video release of "Sons of the Desert". Beyond that, they were just intriguing references in books. I'm doing my part, having grabbed the Chase, Todd-Pitts, Todd-Kelly and "When Comedy Was King". I'm impatiently waiting for more Chase and will likely be on board for any other Roach and Youngson titles. 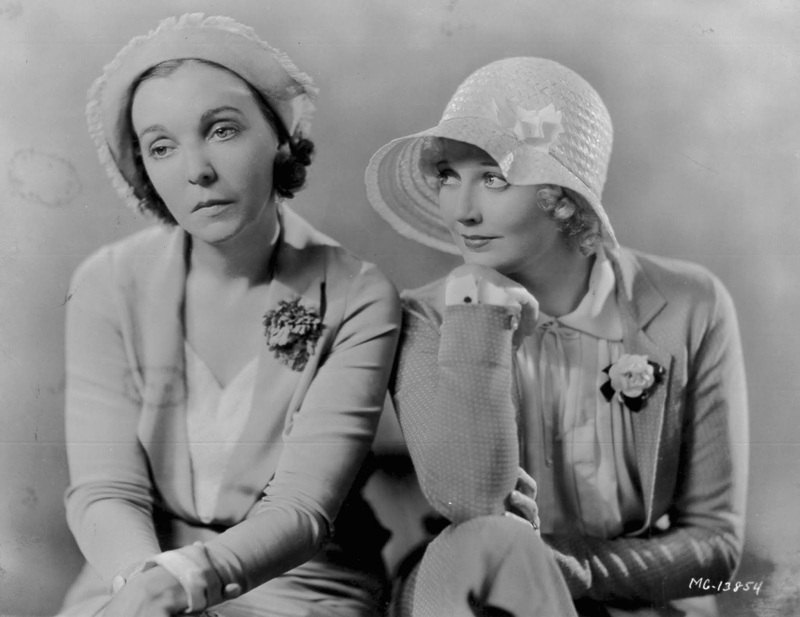 What's the status of L&H silents? For that matter, are there any other Roach silents in vaults? As for the Todd shorts: They aren't all gems -- show me a shorts collection without clunkers. But here, even the misfires are intriguing. A comedy series with two attractive female comics who didn't fall into the comfortable battle-ax or bimbo categories was a novel idea; so novel they often didn't know what to do with them. Some things just don't translate smoothly from Stan & Ollie to Thelma & Zazu/Patsy. The boys cringing in terror from a loopy madman is a different proposition than the girls playing the same scene; likewise ending up broke in the street. Now and again somebody seemed to forget. There were some physical entanglements might have caused trouble in a W.C. Fields short. But there were also moments of two young women acting like young women: sharing a joke, getting ready for a date, dragging home from work. There appeared to be a conscious decision to keep the girls in modern dress, barely middle class, and emphatically unattached. Male comics in two-reelers might be married as often as single; they could sometimes be rich; they might even be dropped into period costume or exotic locales. Thelma & Zazu made one foray into WWI, but that was it. There were occasional boyfriends, but they tended to be incidental. None of the Boy-Meets-Girl plots that were a staple elsewhere -- such as the Charley Chase shorts where Thelma was The Girl. The idea of Thelma & Co as housewives creating domestic chaos or suspiciously tracking husbands (the flip side of "We Faw Down"?) would appear so obvious there had to be an active veto. Was the intent to keep the team virginal and "available"? Or, as it's sometimes put today, "f*able"? Anyway, we now have all the shorts instead of a few paragraphs of description and there's more than enough uncomplicated comedy to justify purchase. Bring on Chase Volume Two! PS -- In "Sneak Easily", Zazu swallows an outsized "pill" and we get an extended shot of her facial reactions. It's a little blurry -- the commentary notes it. My guess is that the shot was originally tinted green, or the green was applied to her face by brush or stencil. Tints had gone out of general use in favor of actual color, but maybe they were still around for special bits. I am really happy with this all-new Todd-Pitts Hal Roach Comedy Collection and found this team working at a much funnier containment of humor vs. the later replacement series, with Patsy Kelly. This EARLY SOUND containment (covered here 1931-34)scores better with Todd a bit better-matched with former silent screen star ZAZU PITTS ("GREED').These shorts have time for showing off some neat sets/locations and it has LOTTSA THAT MUSIC familiar to fans of that particular Roach comedy period.. These films shine here and are pristine. Sound is better served here than on the other collection. I also most recently discovered Don Barclay, (in a hilarious Our Gang comedy!) who co-stars in several titles of the TODD-KELLY Collection. Most of the Roach regulars are, of HERE, of course,and you scattered all through both collections; FINLAYSON, Billy Gilbert, Anita Garvin, etc. and it seems that Charlie Hall pops up in most of them. All these talented people; ALL had on their minds basically ONE THING: how to make us LAUGH; and at HAL RAOCH STUDIOS, with one idea after another played out with the freedom to do just that: create their OWN comedy, passing on to all of us! NOTE MOST OF THESE WERE MADE BEFORE CODE-CENSORSHIP, and the sexually suggestive situations Pitts gets into-you'll just have to see-to- believe!! BTW --TCM HAS occasionally put these shorts up for-once a year or so. I wish TCM would have an HAL ROACH COMEDY NIGHT maybe, once a month?! Would that not be neat!? These comedies are sure nice to have added to your collection of CLASSIC MOVIES. I struggled over the years to complete my 16mm collection of Thelma Todd's shorts (maybe missing three or four) and they were IMPOSSIBLE to find. I guess I can relax now. The DVDs look tremendous. I have done as instructed. Had already purchased the Charlie Chase set, which includes some great Thelma Todd appearances. Now the Todd/Pitts and Todd/Kelly collections just arrived on my doorstep. Comedy Tonight! Thanks for the heads-up!